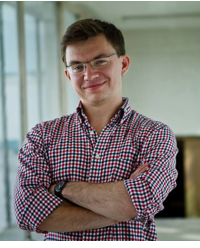 Dr. Ilya Yablokov is a Teaching Fellow in Russian politics, history, and culture at the University of Leeds, UK. He received his M.A. with Distinction in Nationalism Studies from Central European University, Budapest, and his Ph.D. in Russian Studies from the University of Manchester, UK. His research interests include conspiracy theories, nation-building, and politics in post-Soviet Russia as well as Russian media and international broadcasting. His book Fortress Russia: Conspiracy Theories in the Post-Soviet World (Polity Press) is out in August 2018. Ilya does extensive research on Russian media and conspiracy theories. His article on the Russian international television channel RT and its usage of anti-Western conspiracy theories (“Conspiracy Theories as Russia’s Public Diplomacy Tool: The Case of ‘Russia Today’ (RT)”) was published in Politics in 2015. Ilya’s articles were published in the leading journals in the field of Russian studies, such as Nationalities Papers, Demokratizatsiya: The Journal of Post-Soviet Democratization, Russian Review, Politics, and Russian Politics. In 2015, he received the British Association for Slavonic and East European Studies (BASEES) Prize for the Best Peer-Reviewed Article in the field published by a postgraduate student.